Our commercial systems are versatile and economical, offering a wide variety of options to suit any application, whether they are retail outlets, reception areas, commercial entrances or shopping centres. 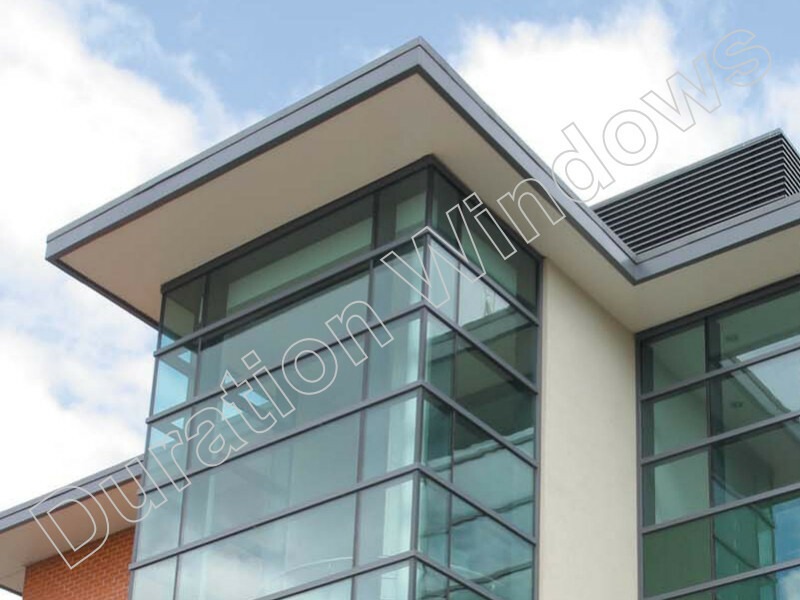 Being fabricated from aluminium our commercial systems benefit from the slim lines achievable using the natural strength of aluminium. The powder coated aluminium offers strength, durability and is highly resistant to rust and corrosion. Making these products virtually maintenance free and built to last, so you can measure their life span in decades rather than years. Our products are made-to-measure and manufactured to your exact requirements. There are over 200 different colours to choose from, which can be provided to suit individual taste, or corporate brand requirements. We also offer a wide range of glass and glazing options, with or without glazing bars and mullions; including self cleaning and solor control glass. These high performance polyamide thermally broken commercial swing doors can be up to 2.5m tall, with no need for top lights. 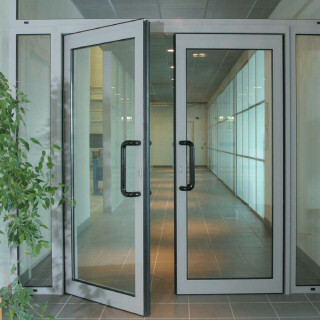 Our entrances doors feature anti-finger trap, enhanced drainage and part M low threshold. 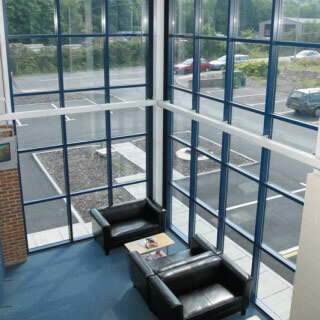 This structurally self supporting low rise curtain walling is versatile and economical and is one of the best performing fully thermally broken commercial systems in the UK. Single storey window walling up to 3m tall. 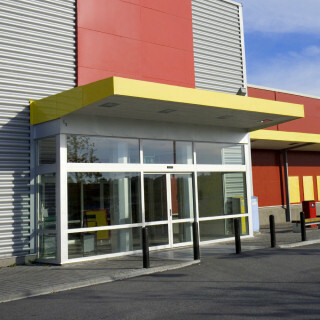 These are thermally broken commercial shopfronts & shop entrance doors and screens. Choose options for your entrance doors, for colour, hardware, security and operation to suit your needs and your budget.